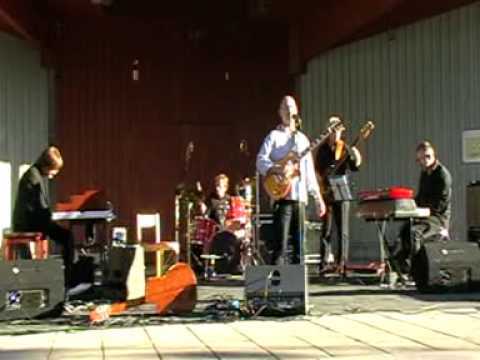 I (Thomas Arnesen) brought this band together in the spring of 2002 in order to play some material that was in some way modern, yet in blues form and with a genuine blues feel. Some of the songs are my own and some are traditional standards – old favorites and new ones. Some thoroughly arranged, others more loosely. I felt a need to develop an ambitious musical co-operation with a fixed constellation of good musicians within the area of blues music. The band is tight in every rhythm from shuffle to afro-cuban. We sometimes add an extra chord here and there. In the studio we play a little stricter than live, while on stage the band explodes. Blues, with its traditional 12 and 8 bar form, is to me a sort of musical essence that lies at the heart of human musical perception. 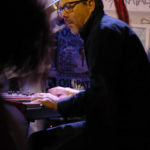 It´s form challenges THE musician to find a personal, original way to develop while staying within its rigorous confines. What about privat gigs and weddings? Only when the person requesting us knows exactly what kind of music we play. This depends on many things, like what do we need to bring, how far do we need to travel etc. Get in touch and let us find out together. Download it by clicking the icon on the left. Choose an image below. Always mention the name of the photographer when you use one of the photos. It´s a list of the equipment an arranger needs to provide for us to be able to do the gig. Do I have to follow the Rider and the Stage Plan? How important is the gig for you? What about if I can´t find the equipment required on the Rider? What is a Stage Plan? It´s a plan of how we need to be situated on stage to be able to do the gig. Is everything vital on the Stage plan? Yes, but there are many solutions besides the ones in the Stage Plan. Contact us if in doubt. Except for in Scandinavia we have played at Festivals in Spain, Austria and Rumania. 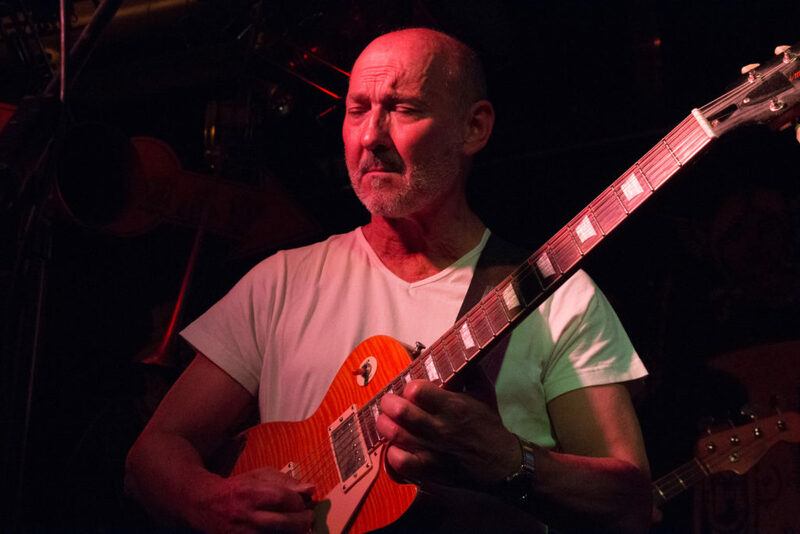 "Raw energy from the word go and Arnesen, an exceptional guitarist, has picked a formidable repetoire. Groovy and intense!" 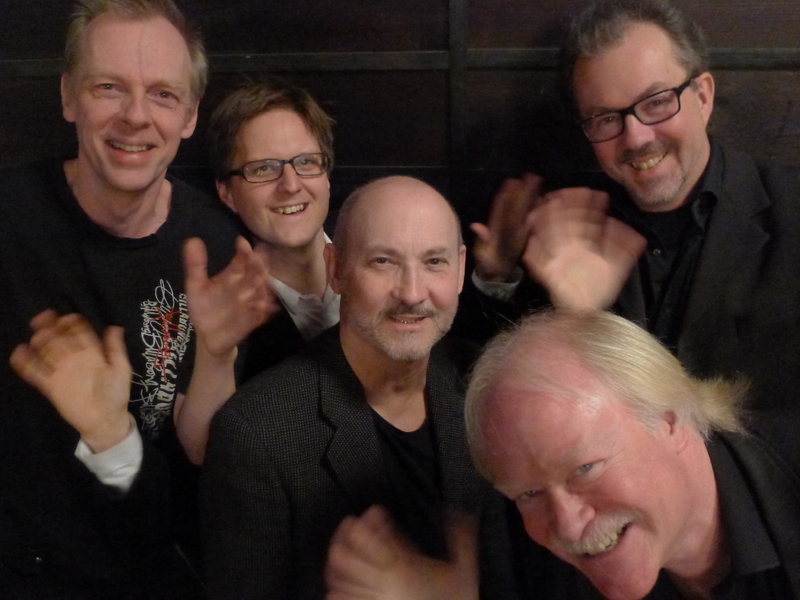 "I have seldom heard a more audacious band in this genre. The audience is with them from start to finish. 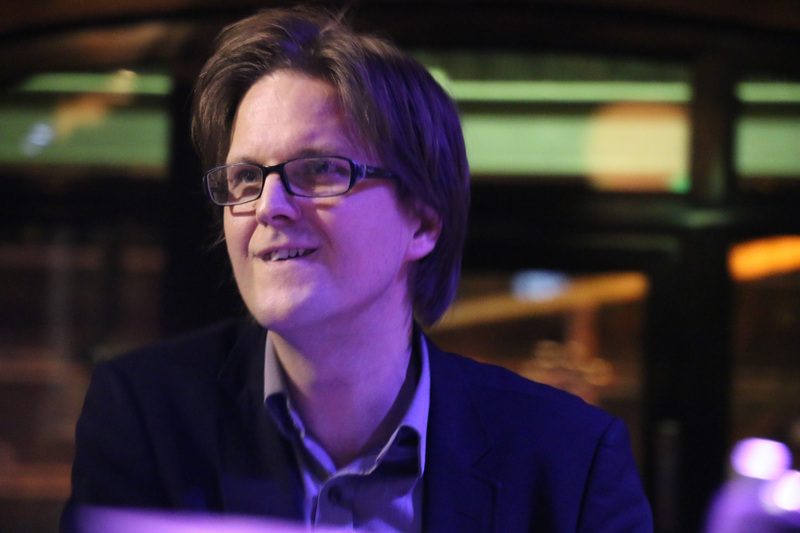 Thomas Arnesen is a high class musician, who truly masters his instrument." 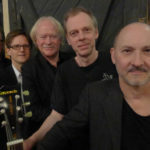 "A very skillful band that features Arnesen, a virtuoso guitarist, and the equally inspired pianist Forsberg soaring over the rock steady rhythm section. After gently strolling through one song, they will rip in the next." 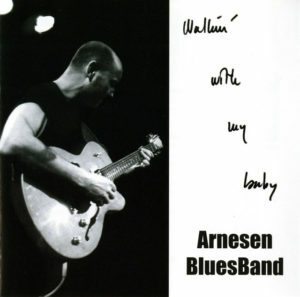 "Arnesen´s guitar has a wide area of styles and feels. In one tune you can hear a roaring Hendrix and in the next he´s toned down to a mellow T-Bone Walker. Although he knows his masters he plays with his own voice, technically and harmonically. 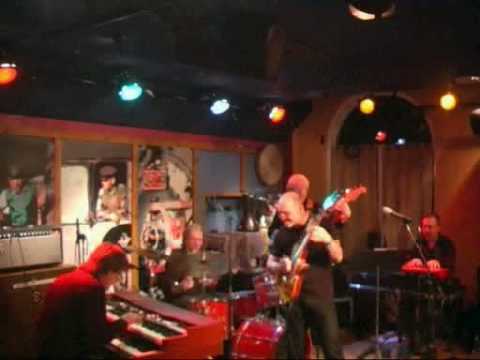 The keyboards also add to the show with great skill in the solos and ensembles and the rhythm section is terrific. 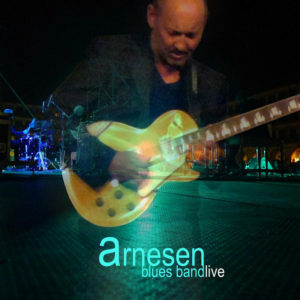 Arnesen Blues Band did it again, this time even better!" 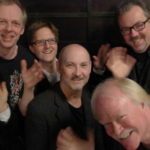 "Arnesen Blues Band is a very skilled ensemble where the combination piano and organ adds extra spice to the sound. 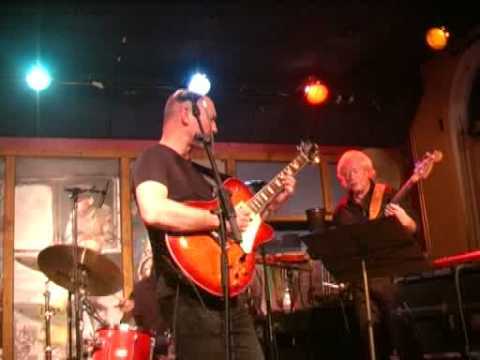 A firm and steady rhythm section and elegant virtuosity among the soloists marks out this band." "Arnesen knows his traditions. His interpretations have a personal touch and the original tunes blend in very well. His voice is not rough but warm and very expressive." "Arnesen put himself up front. His capacity to do so is beyond doubt. The back-up from his band is solid and unusually competent. Sometimes this quintet feels like a big band." My home town, Uppsala, has been a metropolis for music in Sweden for a long time. Mainly due to two brilliant music lovers/entrepreneurs; Björn Carlsten and Katalin Varga. 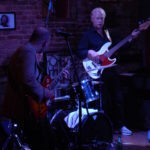 The brothers Carlsten had the pub “Rackis”, where you listened to local bands as well as Maceo Parker, Lou Donaldson, Chet Baker and many others who, after gigs in Malmoe, Gothenburg, Stockholm always wanted to visit “Rackis”. 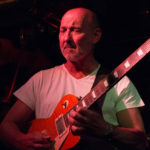 At “Katalin”, besides playing there myself, I have enjoyed John Scofield, Chick Corea, Al Foster, Daniel Lanois and other international celebrities. Björn and Katalin, formidable culture giants. And she is a great cook. Try the goulash. Early May. From Swedish winter to Rumanian spring. At least I was totally unprepared for +30C. I arrived in black t-shirt, black jeans and black boots. Hot. Drummer Ola, bless him, lend me a white t-shirt. We were very well taken care of and the food was good. Chicken mostly. In every bar we came by there were Carlsberg taps. They have really done a huge job in Rumania. The hotel bar, where we stayed, had 24 hours open. You survived and didn´t lose any weight. First night, the day we arrived, everyone was so tired that the thought of going to bed was scary and thus we anchored ourselves in the bar trying to get sleepy, drunken legs and spinning heads, totally alert until morning. Anyway the festival gigs were very well arranged and the band sounded good, as always. They equipped me with a 4×12 and Marshall-top which troubled me a bit so I managed to get a Fender Twin for the last gigs. What a relief. All in all a very interesting trip abroad. Andreas (organ) was, like he was in Vienna, a very good guide with his apps and maps, teaching us “hello”, “goodbye”, “thanks” and so on. walked the street in t-shirt. Reigen put up a generous stage with a generous grand piano and a very good backline. The sound-technician, Andreas, was excellent. All was well except the organ. Was it a Vox or a Farfisa? I can´t recall the brand. What I can recall is the sound of it. Impossible! So we managed to rent a “Nord” from a store and the evening turned out very nicely. A beautiful city that goes back to Roman times. An astonishing mosque with a Christian church plunged down in it. Fascinating. Recording is nervous, tedious and troublesome in studio (I think). At least I feel like a complete new-beginner on the instrument, whenever there´s a microphone scrutinizing what you´re doing. Bearing that in mind the solution would be live-recording in order to feel more relaxed. And so we went for it. In time for the event I caught a “Frozen Shoulder”, which effectively disabled my right arm with great pain, a common Swedish “cold”, a severe nose-bleed due to the many painkillers I had to consume for the shoulder. And then the recording-equipment let us down. Half of the tunes were never recorded. So there will be no live-CD until next year but 3 or 4 new videos for YouTube. An ethnic music festival. We entered the festival in our rented van, cruising amongst pine trees and festival-participants in various outfits. It was almost impossible to get through to the stage until a band from India, pipers and drums tok the lead and “piped” us there. In the fall of 2009, I think. A one way communicating man positioned him before me as close he could get, round 70 cm`s, and started laying down the truth about virtually everything. He had a terrific flow. He probably talked while breathing in as well as out. I found it increasingly harder to concentrate on playing and singing and urged him to move away a bit. He did, over to the piano where he could get real close. Forsberg sits while he plays and couldn´t get away. Truth was flowing and I saw Forsberg´s face turn more and more granite-like, both in substance and color. The piano playing however, grew better and better. Click the cover image to listen to the album on Spotify. Born in Mora, Sweden. 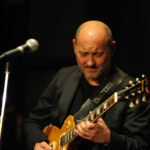 Has in the last four decades established himself as an all-round jazz and blues guitarist. Has toured in Europe, Japan and India participating in many TV and radio broadcasts. Webpage. Wikipedia. Played the piano as my first instrument. Started tearing the guitar at 13. Have also given lessons in el. bass and drums. Very fond of cooking although no master chef. Reads a lot. When you have travelled a bit of the way down the road it´s possible to look both forward and backward. I grew up in a musical home. Dad played the violin and Mum the piano. My sisters and I used to stand in a semicircle around the piano singing Alice Tegnérs children´s songs while staring at our mother´s hands dancing over the keys. At other times I used to sit beside the pedals and listen to her playing Chopin preludes. She belonged to that generation whose parents wanted their daughters to be able to play the piano, dance, paint with watercolors and conduct themselves socially with lady-like manners. My father was a completely self-taught violinist. He replaced technique with an impetuous feeling that had an almost reckless quality. Swaying about like a lightship in full storm, he syncopated his way through “Dark Eyes” with perfect intonation and a tone that was immaculate. He almost scared us to death. Mum accompanied. I´m sure it was Dad who thought me not to be afraid of playing what felt natural. How it sounds inside you. The way you think it ought to be. Things that can´t be written down in terms of notes on paper. My father sweated blood when he played. I began to climb up on the piano stool when I was 4 years old. My parents soon found a lady piano teacher, from then onwards it was all about notes, Mozart, Schumann and others. Playing the piano is a lot of fun but it is not like a violin. We had some 78´s at home with Jelly Roll Morton, Meade Lux Lewis, Charlie Norman and others who I tried my best to copy by ear in between the lessons. At some time I heard B.B. King on the radio and realized that the electric guitar could be played in the same register as the violin. Mum, bless her, went out and bought me an LP of B.B. King. She also had ears for the blues. Why would she have listened to Dad´s violin otherwise? The piano was my first instrument. Invaluable to have in one´s “Baggage”. The guitar by comparison is an exacting test of one´s coordination and for me a love/hate relationship thing. Expressive – and exposing! An extension of the song in the blues where words say more than words. A music form with which I have always felt at home even before I ever heard it, if you don´t count Dad´s violin. Born in Borlänge, Sweden. A wizard on his instrument. 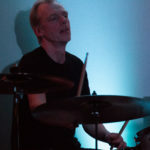 Equally impressive accompanying me or delivering one of his burning solos that can cut through the harmonies with a fierce spirit which affects everyone in the house. He means business. Webpage. I started my music career in the death metal band Ethereal where I was a guitarist and growl singer. When I wasn´t head banging my hair covered half of my face. I have an engagement at Swedish Hammond to demonstrate their Hammond organs. 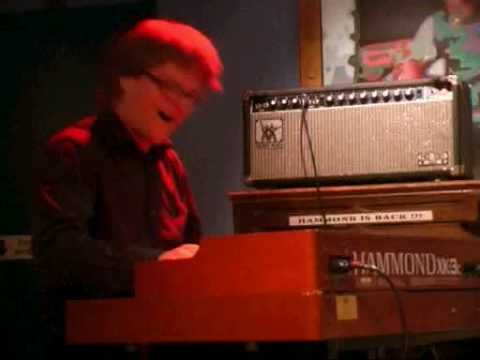 It wasn´t until the last year of highschool that I discovered the Hammond organ. A remarkable fact considering that I grew up in Borlänge, a town that has produced two of Sweden´s most prominent jazz organ players, Nippe Sylwén and Pierre Swärd. I started playing the piano in fifth grade, but gave it up a few years later to play the guitar. 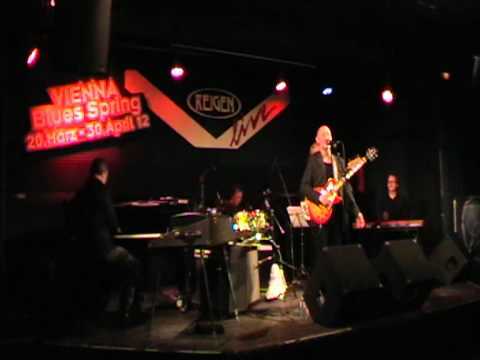 When I discovered jazz music at the age of 16 I switched back to the piano, and then one winter night in my last year of high school I went to see Pierre Swärd in concert at a place in my hometown. 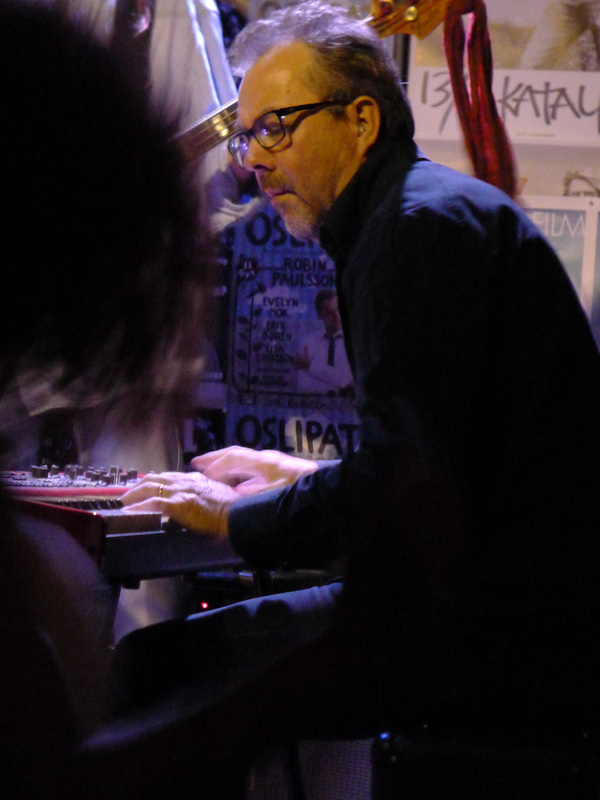 He was playing the Hammond B3 with a trio. The sound, the power of the instrument and Pierre´s intense playing made it clear that there was only one way to go, to start playing the organ. After that I never looked back and has been playing the Hammond exclusively ever since. On a spring day of 2002 while struggling with some assignment in the computer rooms of the university I got a very surprising phone call. It was Thomas asking me to join his new band. 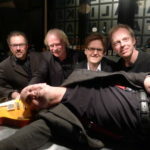 At the time we hadn´t met, but I had listened extensively to Kjell Öhman´s Organ Grinders records featuring Thomas on the guitar. I was excited not to say flattered by the request and I´m really happy the band is still around. It brings out the best of all its members. 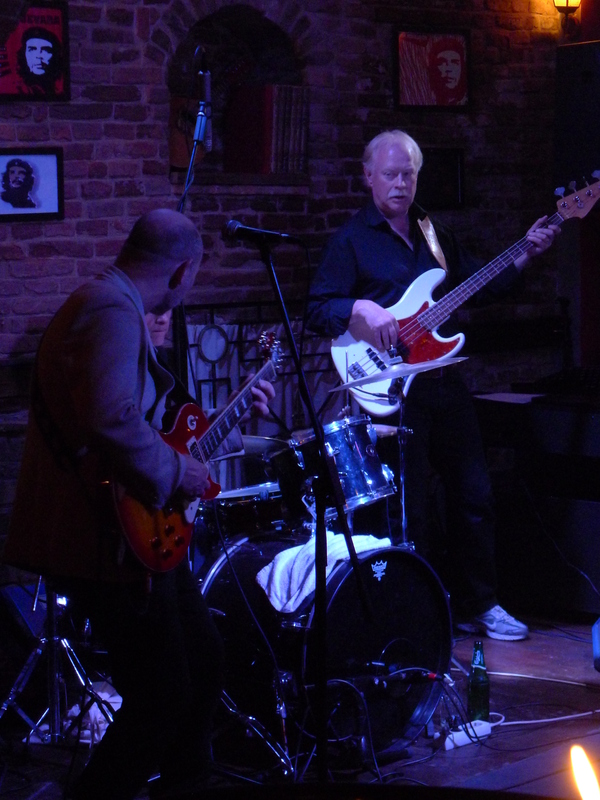 No matter where we play, whether it´s the local pub or a blues festival abroad, you´re never worried about how it´ll go. By the time Thomas finishes his 4 bar intr to “Funky Mama” you´re already in the zone. Born in Kalix, Sweden. 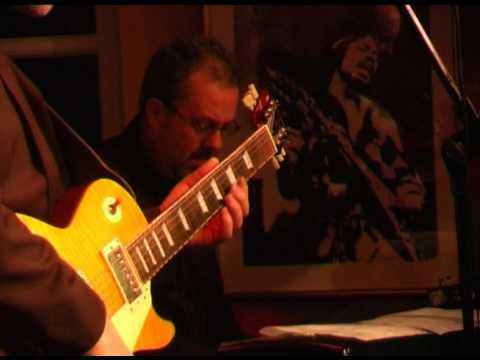 A former fusion musician with an accurate beat and a steady blues feel. Very innovative in his attitude towards the songs which will sound different depending on the audience, the acoustics or his mood on that day. Always in tune with the here and now. He has a deceptive outer calm in his personal approach. 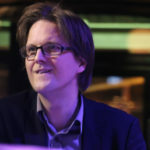 Anders Forsberg has worked with various musicians from the Northern parts of Sweden: Jonas Knutsson, Morgan Ågren, Mikael Berglund, Per Westerlund to mention a few. His former band “Cabazz” toured in Sweden, Belgium, Turkey and South East Asia. Born in Stockholm, Sweden. Highly appreciated by everyone in the business and has a great groove and sound. 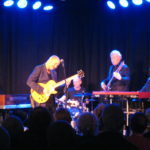 Thomas and Björn started playing together in a small pub in Stockholm. The pay wasn´t great, but the food was and cuisine is a mutual interest of theirs. Björn is an excellent bass player that makes it easy for everyone else to play. orn in Linköping, Sweden. 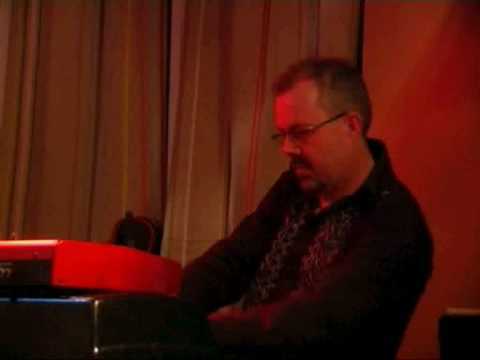 He plays his mini/very transportable Yamaha-set with a formidable accuracy. Be it laid back, afro-cuban or shuffle. very “big ears” and a wonderful sound from skins and ride. Organic drumming. Not just only marking the b.p.m. but also serving them on a gold-platter. Following the intensions of the soloist. Ola Ragnar joined the band in 2009. 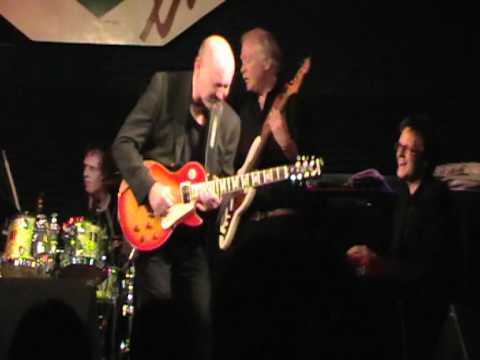 Ola began with the band as first stand in for Kjell Gustavsson. 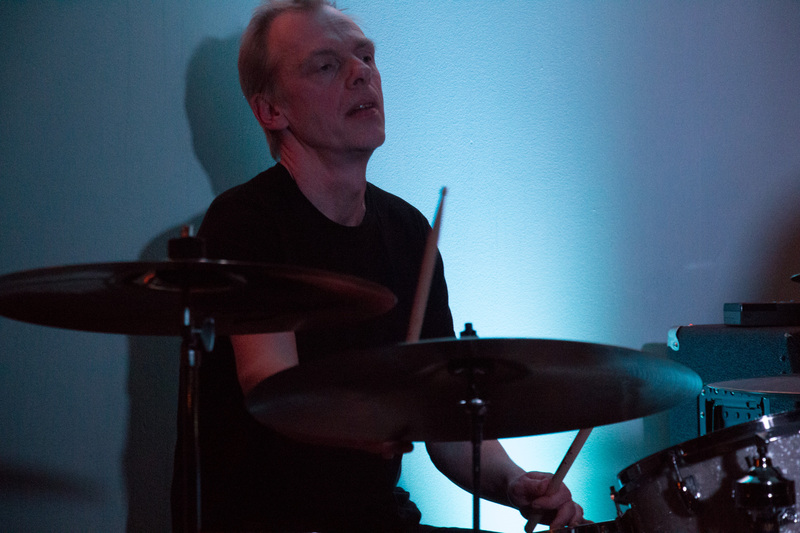 In time Kjell became more and more busy with his own career and Ola was the natural choice for the band. I have given Sylvia Vrethammar a hug. I love “old lady like” curtains and I am a sneak-ornithologist.